Version 4 was red! Was it a fluke or can it be rebrewed and come out just as good? For this variation I will be dropping the Roasted Barley to 100g and increasing the smoked Rauch Malt to 300g (from 100g). This should slightly lighten the overall colour of the beer and also give a nice smokey undertone to the malt flavours. This version would also use Fuggles hops instead of Bramling Cross for a little more traditional hop flavour but mostly because I didn’t have any Bramling Cross left in the freezer as it turned out! 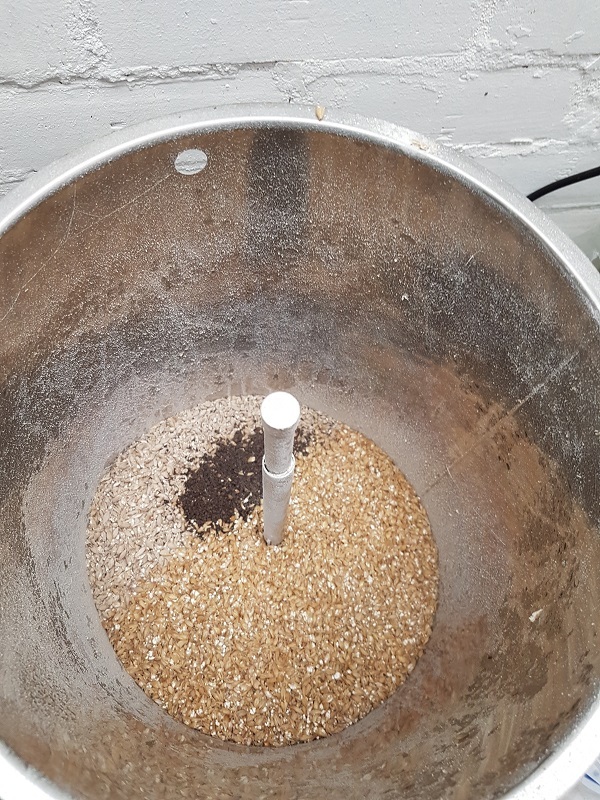 The other major change to this version is that it will be brewed on the Grainfather whereas version 4 (Brewday 27) was brewed on my old three vessel system. 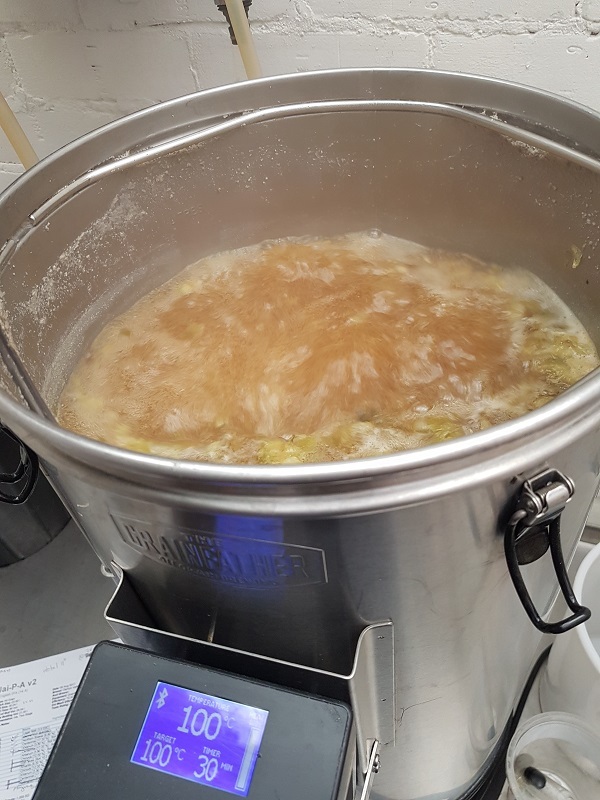 In theory this shouldn’t make any difference as Beersmith will adjust the recipe based on the equipment profile but we’ll have to see if that works as intended! Brewday 45 went perfectly to plan and I even remembered to put in the Irish Moss! 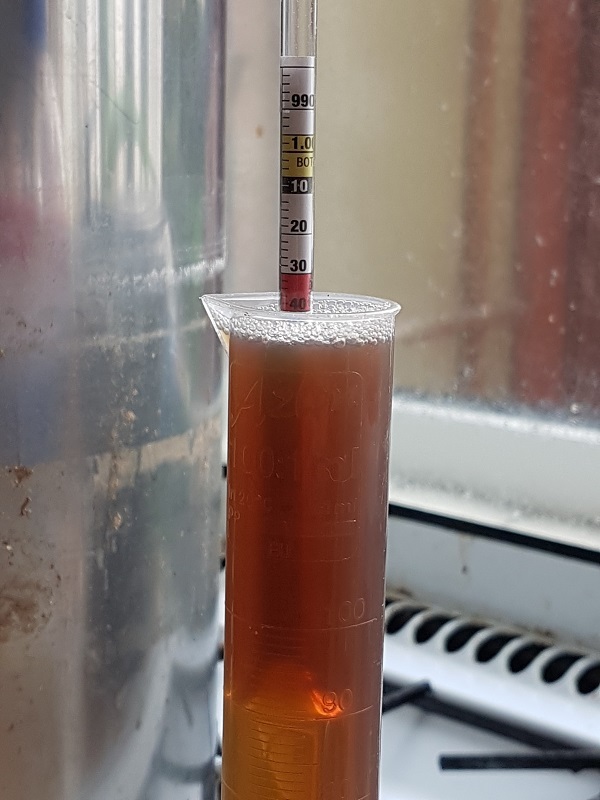 OG came out at 1.046 so presuming the yeast attenuates as expected this should give an ABV of 4.7% and hopefully a bright red colour! Well, this version is definitely the best one so far!